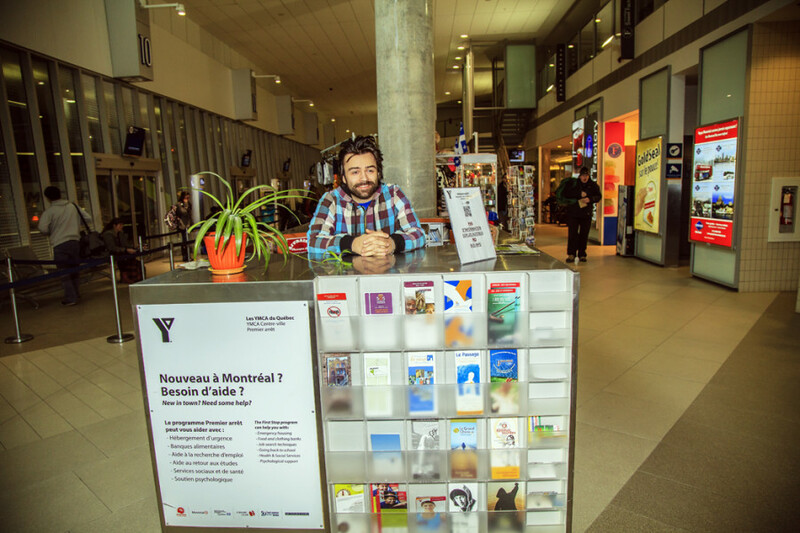 At the Gare d’autocars de Montréal, the city’s central bus station, passengers stream through, hauling luggage, ushering children and pulling out their smartphones to call friends and family in the city. Some stop to buy coffee, while others head straight for an exit, breezing towards the passageway to the metro or through the revolving doors that open onto Berri St. There, a taxi or a ride—a plan, a purpose, a welcome—await. For others, however, these first steps in Montreal are taken with less confidence. 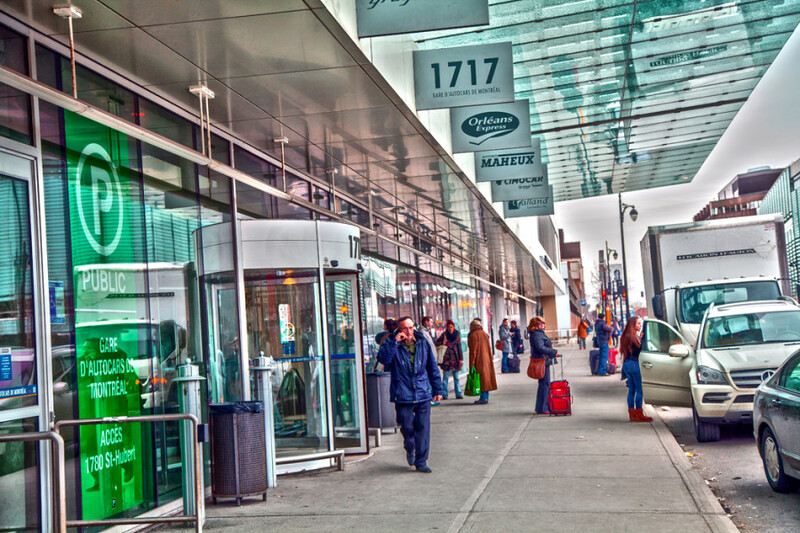 Across North America, intercity bus terminals are notorious as way stations for the down-and-out, places someone turns up when they need to get away from where they are, but have no clear idea of what to do next. Often broke and alone, these individuals are at a high risk of becoming homeless, and may find themselves experiencing mental health problems, abusing drugs or being lured into prostitution or crime. It is with these people in mind that Montreal’s Downtown YMCA runs a kiosk staffed with first-line responders inside the station. Its workers—two in the daytime, one in the evening—help at-risk people in and around the station to access resources like emergency shelters, soup kitchens, mental health services and other forms of support. The program, called First Stop, first opened in 1999, following a survey conducted by McGill students and the charity Dans la Rue that showed that among street kids and other homeless people living in the area, two-thirds had come to Montreal to escape a difficult situation, like family conflict, money problems or abuse. Most said that they had no one to rely on when they came to the city, and just under a third spent their first night on the street. A quarter had arrived by bus. Since then, First Stop has made gains at making the station more secure. For example, they’ve managed to get recruiters—pimps, drug dealers and traffickers in stolen goods—out of the terminal. However, Richer said, there’s only so much First Stop can do to protect at-risk passengers—particularly young runaways—from the dangers of the area. 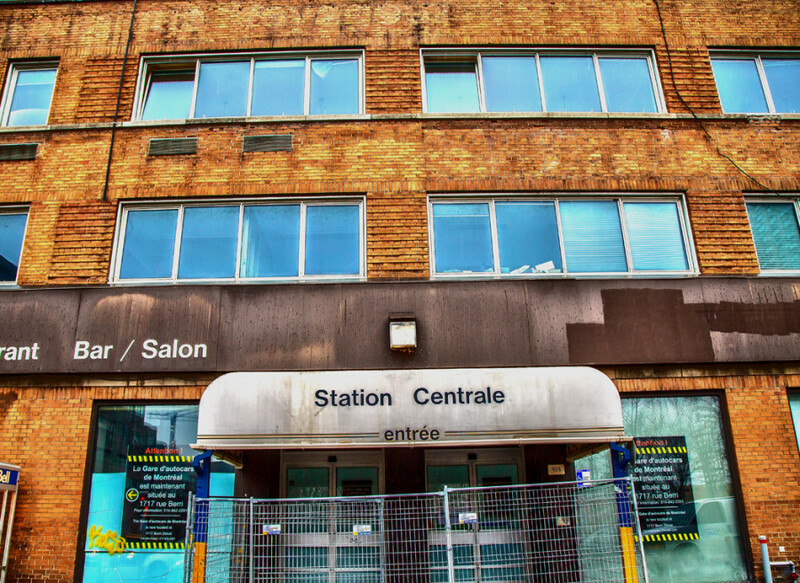 It doesn’t help that the bus station is just a block away from Place Émilie-Gamelin, which is known as a hotspot for drug dealing and prostitution. First Stop workers often patrol the park and the surrounding area, and are on the lookout for certain risk factors. Richer said that if they spot a girl with “just a little backpack, no suitcase, [who] doesn’t know where she’s going,” they try to establish contact with her quickly, to let her know that she can come to the kiosk if she ever feels that she’s in danger. In addition to runaways, the program helps women fleeing domestic violence, new immigrants, people with drug, alcohol or mental health problems, and older passengers with Alzheimer’s disease who have become disoriented. In all, they gave assistance to 545 people last year. More recently, the program has begun buying bus tickets back home for people who find themselves stranded in the city. “A large part of our clientele consists of people in transit,” she said. Some people may have lost their money or tickets, and don’t have anyone in their life who is able to send more. 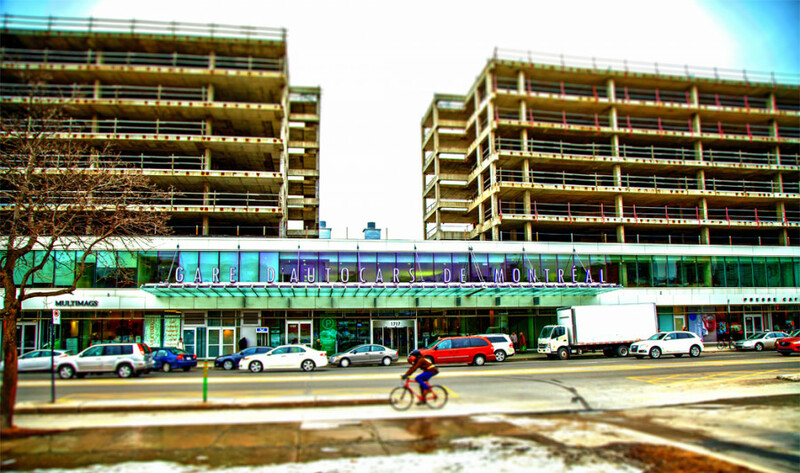 Others have made plans to move to Montreal, but haven’t organized any of the details. “You really have to help those people to make sure that they don’t end up in the cycle of homelessness,” she said. On a Friday in late March, I spent five hours with First Stop workers at the kiosk. When I arrived, the two workers on duty, Caroline and Philippe-Olivier, were speaking with a man in his early twenties. Caroline­ explained to me that he was someone they helped a few years ago, and who still stops by to check in. Soon after the young man left, another regular, Michel, came by the kiosk to use the phone, then stayed to chat. Formerly homeless, he first came to the kiosk because he was having problems at his rooming house. Now he’s looking for a job. Caroline explained that since many people who come to the kiosk might not have many friends who aren’t homeless or using, First Stop provides an important link to the outside world. “Sometimes, that’s all it is,” she said. Although their mandate is to be at the front line, much of the First Stop workers’ time is spent doing follow-ups with past clients. “We create bonds of trust with people,” Philippe-Olivier explained. But there’s a limit on the amount of help they can give. The workers often run up against gaps in the system, especially when it comes to finding places in shelters. There are always places for women fleeing domestic violence, and the larger men’s shelters usually have beds available, but regular women’s shelters fill up fast. “The phone lines open at two, you call, and it’s first-come, first-served; you reserve a place,” Caroline explained. If a woman arrives at the kiosk in the evening, it’s very difficult for them to find a spot. Mental health services are also lacking, particularly in cases where an individual is in crisis and the police have to be involved. The Service de police de la Ville de Montréal does have a special team in the neighbourhood with social workers and a nurse, but Philippe-Olivier says they are too few to respond to the level of need. “There’s times when they’re already intervening in another case,” he said. The problems surrounding mental health and homelessness in the neighborhood were highlighted in early February, when a man in crisis wielding a hammer was fatally shot by police just outside the station’s front entrance. Tremblay said that although he has had many good interactions with police officers on the job, some are uninformed about the realities of mental illness and drugs. As the light faded in the station, things quieted down a little. A man in his 80s came by and spoke with Philippe-Olivier for a while. Then, a security guard alerted Philippe-Olivier about a young man sleeping on a bench. Philippe-Olivier went over and asked him who he was and whether he wanted help. He didn’t. When I asked the workers whether it was frustrating to meet so many people they couldn’t really help, I was met with a volley of yeses. Philippe-Olivier remembers one case in particular: a young woman from the Maritimes, for whom he’d wished he could have done more. They had tried to get her on a bus back home last September, but it hadn’t worked out. “She didn’t look like she was in distress when she first came,” he said. But over the coming weeks and months, they watched her condition deteriorate. Then one day, Philippe-Olivier saw her with a pimp. Every day is different at the kiosk. Sometimes there are hardly any interventions to conduct, and sometimes it’s a constant stream. The kinds of problems dealt with are extremely diverse. The man mentioned a program in Longueuil or maybe Laval—he wasn’t sure where—that he’d heard allowed patients to smoke. Philippe-Olivier began searching for it on the kiosk’s computer. First Stop doesn’t have all the answers for people like him. It can’t fix years of abuse and hard living or rise above the underfunding and mismanagement in Quebec’s social services. Its workers readily admit that their success rate is far from perfect. What it does provide is a moment’s respite, and an open door towards the possibility of a better place. Outside, the storms still rage.